Should I invest my Retirement Savings into an Immediate Annuity with an insurance company? What is the guaranteed payout ratio of the immediate annuity? The #1 payout is $533/month, or $6,396/year. This represents a payout of 6.3%. Your $100,000 is cash flowing at 6.3% per year, every year for as long as you live. Let’s say that you live to be age 85, is this a good deal? Well, it is for the insurance company! Over a 20 year time period, your $100,000 deposit to a lifetime annuity will have paid you a total of $127,920. You put in $100,000 and received $127,920. This represents a internal rate of return of 2.47%. The insurance company takes your money and invests it in the bond market. They then start paying your monthly payment out of the collective pool of investments from other people that are doing the same thing. The annuity is structured to protect the insurance company 1st, they take your money out of the annuity 1st, they’ll spend your $100k before they spend any of their money. As a matter of fact it will be 16 years before you start spending any of the insurance company’s money! A recent annual report of one of the largest insurance companies in the country revealed that their general fund bond portfolio is invested 30% into investment grade bonds (A-AA-AAA) and 70% into non-investment grade, or BBB and lower. Looking at the BBB investment grade class, it has a historical default rate of .22%. That means that 99% of the time, this class pays out exactly as it should. The interest rate between investment grade, and one notch lower, BBB is significant! Right now, you could go out and play insurance company with your $100,000 and buy 50 different individual bonds, from multiple companies, spread across multiple industries and sectors with varying maturity dates. You can get a PAYOUT or 6.17%, or $6,170/year. This represents actual interest earned, not the cannibalization of your principal! Reallocate the $100,000 into a highly diversified portfolio of individual bonds, get the same amount (roughly) cash flow each year, plus you get all of your money back when you die! Oh, I failed to mention that the immediate annuity payout does not increase with inflation. In 5 years you’ll have lost 20% of your purchasing power with inflation. A properly structured bond portfolio will provide you with increasing income each year as interest rates increase. This represents a much better deal than going with the insurance company option. Of course, you won’t hear this from the insurance company or your current advisor. 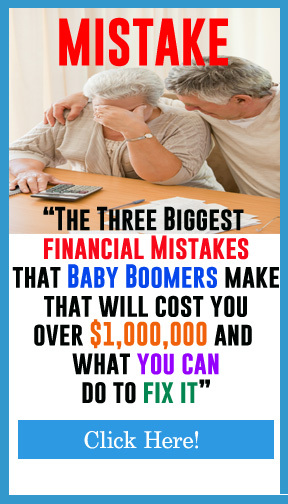 They probably get paid a commission to you for selling the annuity, so get the facts before you put your hard earned retirement monies into an immediate annuity and look at some viable alternatives 1st!. Contact our office for a free 2nd opinion review before you purchase to see your alternatives!